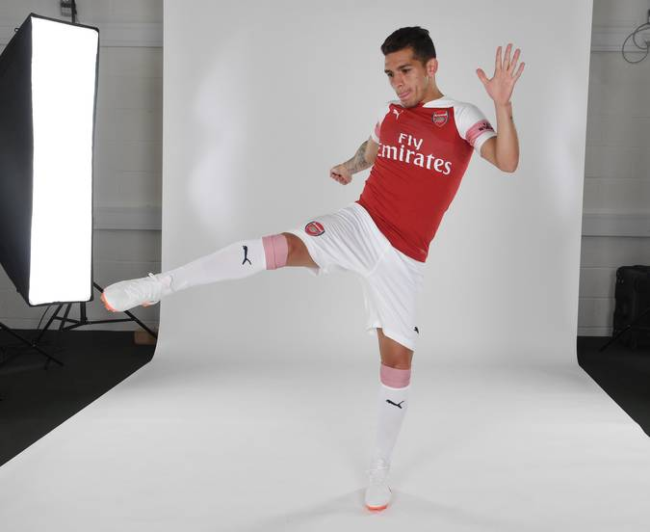 After months of speculation, and with Uruguay’s World Cup done and dusted, Arsenal have finally completed the signing of Lucas Torreira from Sampdoria for a reported fee of a very reasonable £26 million. The 22-year-old was outstanding in Uruguay’s run to the quarter-finals in Russia and joins on a five-year-deal. Torreira spent four seasons in Italy, first with Pescara and then with Sampdoria in Serie A, where he made a name for himself as a midfield terrier, racking up record numbers of tackles. He is a young player already with good experience, but who wants to keep on growing. I feel very happy. I want to make the most of this opportunity life has given me. I am really looking forward to starting this new adventure. Arsenal arguably haven’t had a decent defensive midfielder since the Invincible days of Gilberto Silva, but Emery and the new recruitment team around him look to have got themselves a top-class performer. Indeed, another midfielder, France u20 international Matteo Guendouzi is also set to join the Gunners. With goalkeeper Bernd Leno and defenders Sokratis Papastathopoulos and Stephan Lichtsteiner also snapped up this summer, Emery has very quickly addressed the areas of weakness pinpointed by fans and pundits alike for years now. Although we still give Emery until October before Arsenal Fan TV start getting on his back.